We understand it is difficult to go on field trips. The second best option is to bring the field trip to you! 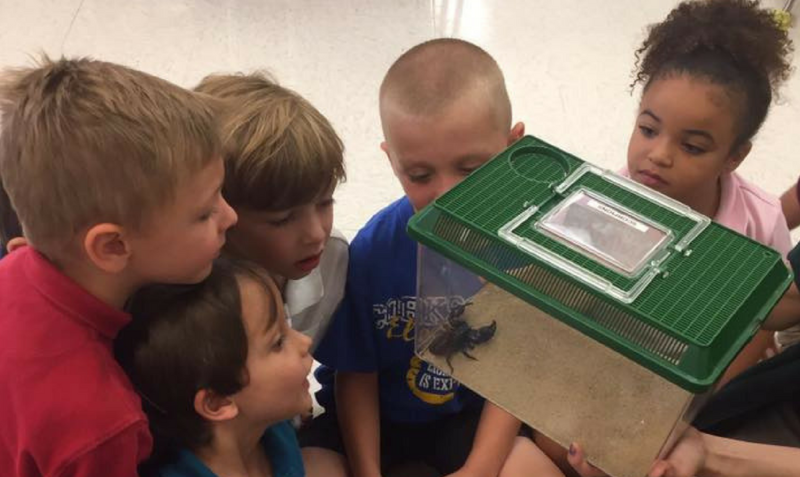 Outreach programs consist of interactive 45 minute programs with science, environment, and/or conservation content based on the individual grade level standards. *View the complete ZooMobile Information Packet here. Do I have a backbone? What about animals? What does a backbone do? Are there animals that don’t have backbones? Through play, engineering, and animal encounters, children will learn about animals that have backbones and what they do. Slithering, swinging, and scurrying all over the world, animals of all shapes and sizes explore the world around them in surprising ways. Students will see how well they can use their own senses, and discover how animals from lions to alligators to snakes use their sensational senses to survive in the wild. Travel around the world, from the desert to the rainforest, to learn how these habitats are different, and how animals survive in their environments. Through interactive activities, we will discover how animals find food, water, and shelter in different ways. Students will use their creative skills as they create their own animal habitats. Life can be challenging in the Savanna – come learn why! Students will build food web models and make drastic changes to them as they learn how natural and human-caused impacts alter the animal way of life. We will also explore a variety of animal adaptations that help these species survive in the Savanna. Discussion will include how students can make positive change in their community that can impact animals around the globe. *Early Education Programs have max participants of 30 per program. · Each program can be for up to 50 total participants and up to 2 programs can be booked back-to-back on one date. · Only one location can be booked daily. · A 20% deposit is required to reserve your program. · Programs must be booked and paid in full at least 21 days in advance. · Programs may occur up to a maximum 60 miles from Naples Zoo. Outreach programs must occur away from other animals and food. · Teachers are required to remain with their students during the program for learning and behavioral support. · Each program includes a standards-based activity and an up-close encounter with at least two education animals. · Education animals are those who are easily transported and used to interacting with guests. Examples of education animals are turtles, tortoises, snakes, hedgehog, scorpion, lizard, or frog. · Animal and participant safety is our top priority. A program may be stopped immediately if Zoo staff deems safety is compromised. · Not all animals are touch-able. If students participate, hand sanitizer is required.